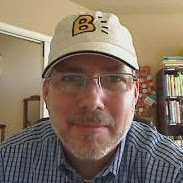 Wednesday, March 10th, is "Hats On Day" and I'll be changing my avatar to one with me in my original SupportBlogging.com hat. :) Theresa Beffa, my co-host at Conversations.net, alerts us to this tribute to kids with cancer on the 15th anniversary of the death of her brother from Non-Hodkin's Lymphoma. He'd lost all his hair, so his friends started the now-national "Hats On Day" to show their support (now over 2,000 schools participate). You can show your support in the same way on the 10th. Get more information and read the tender story on Theresa's blog. From our good friends at PBS we are reminded that the deadline for entries for their PBS TEachers Innovation Awards is March 12th. More details at www.pbs.org/teachers/innovators! "Social Bookmarking: Can You Digg It? Web Applications for Research." Some of the advanced social bookmarking tools, like Diigo, not only allow users to easily track resources but also facilitate close reading and notetaking as well presentations of the resources in an organized manner. This webinar will provide faculty an opportunity to think about what, how, and why they are structuring research assignments as well as what technologies they might have their students use within a research projects. Rochelle Rodrigo hosts. "Emerging Technology in Education." Host Kevin Murphy leads a panel on renewable energy tech in education with John Carey from Franklin County Tech, Nathanael Fortune from Smith College, and Martin Espinola from the Gill-Montague Regional School District. "Digital Storytelling" with Bernard R. Robin. The first in a series of MERLOT Classic Award Winning presentations, Professor Robin will be presenting his site, Digital Storytelling, and will answer questions about the development of the site and how he has used it in the classroom. He is an Associate Professor in the Instructional Technology Program in the University of Houston's College of Education. Eric Biederbeck hosts a Web tools survey: "Animoto and Glogster." Part of the MSP2 series, in this session students will demonstrate how to use both to create a visually stunning presentation that reports out information about a specific topic. Marian Heddesheimer presents "eT@alking Tuesdays: 3D-Teaching and Learning in Second Life." Part of The Australia Series, this presentation will give you a rough overview about how to use Second Life ® (SL) for teaching and/or learning. I interview Jim Gemmell and Gordon Bell on their fascinating new book, Total Recall: How the E-Memory Revolution Will Change Everything. We'll try to answer Bill Gates question: "What would happen if we could instantly access all the information we were exposed to throughout our lives?" Bud Hunt introduces the ISTE 2010 Leadership Bootcamp in a session titled "Amplified, Customized, & Maximized." Bud will talk about how to get involved and also discuss how learning networks have, do and will continue to play a major role in communication practices. Specifically, he'll talk about how your own personal learning network can be amplified, customized, and maximized and how the structures of the Leadership Bootcamp can help you to do so. Jo Hart hosts "Edublogs Fine Focus - Elluminate White(board) Magic!" as part of The Australia Series. Join us for a "Fine Focus" session - an interactive mix of Techie and Tools about the potential of the Elluminate whiteboard and what goes on "behind the scenes" from loading a presentation to managing objects and screens. (Repeat) Jane Krauss and Suzie Boss host "Better with Practice: PBL Implementation Tips from the Field Session 3." This is a Webinar series of three sessions in February and March 2010. The third session topic is Evaluating Learning in PBL. We seek your input in shaping the conversation. Visit http://www.classroom20.com/group/pblbetterwithpractice. I interview Sharon Peters on "Teachers Without Borders." Sharon Peters is a high school teacher of English and computer studies as well as technology integration coach at The Study, an independent school in Montreal. During the summer of '08, she joined two teams who served with Teachers Without Borders Canada in the townships of South Africa and Kenya. Her students have participated in several award-winning international online collaborative projects with classes around the world using various online tools and environments. Mayte Esponda presents on "Global Collaborative Student Projects: How to Create an Effective Collaborative Project to Interact Online with Schools Worldwide." Mayte, a Spanish and English teacher in Argentina, has worked with Elluminate's Fire and Ice program. Kim Caise, Peggy George, and Lorna Costantini host the weekly Classroom 2.0 LIVE! show. This week: "Engaging Students with Interactive Technology" with special guest, Adora Svitak. Adora (http://www.adorasvitak.com) will demonstrate handy technology tools that teachers can use to create engaging, interactive learning activities for students. Jeff Applegate hosts "Choosing and Using Video Games in the Classroom: A Coach's Role." Now that we know how to play the games, how do we lay the groundwork to support a winning team (school media/technology staff, principal, parents, as well as students)? This is the third installment of the Learning Games Network's Choosing and Using Learning Games in the Classroom series. Maria Droujkova hosts "Math 2.0 Weekly." This week, Mangahigh with Chris Green. Jeff Applegate hosts "Designing eGames: Prototyping Your Game." Prototyping is the stage of actually building a game—before the programming. A sample game, using paper, chips, wood or plastic pieces, etc. provides an opportunity to actually test the game play before getting to the coding.